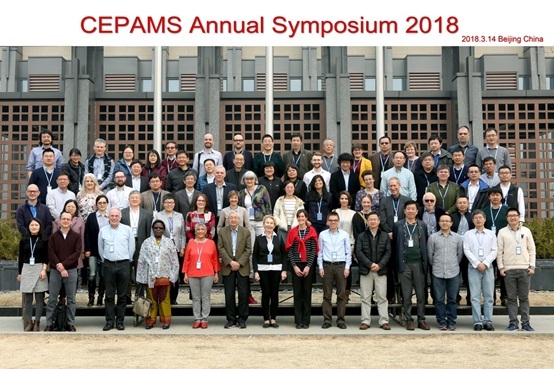 The CEPAMS Annual Symposium 2018 was held in Beijing, China, on March 14th and 15th, 2018. The annual meeting is the fourth joint symposium since CEPAMS was established formally in 2014. About 90 scientists from the Chinese Academy of Sciences and the John Innes Centre, as well as some invited scientists from other institutions, attended the symposium. The topics covered plant-microbe interactions, natural products, plant growth and development, plant nutrition and stress, crop genomics, and plant gene editing. The results of joint research projects launched between the CEPAMS scientists were showcased during the annual symposium,together with presentations from each of the six new CEPAMS Group Leaders.